Every Tuesday, from 5:00 to 6:00 P.M. at Lajpat Rai Bhawan, Sector 15-B, Madhya Marg, Chandigarh. Slideshow of the event held at Gurdwara Bibi Bhani, Phase 7, Mohali on 5th December, 2010. Hofstra Culture Centre with the collaboration of Sardarni Harbans Kaur Chair of Sikh Musicology organised a mega event of sikh music concert at Hofstra University, New York, USA. In this concert world renowned Sikh musicologist and performer Dr. Gurnam singh along with his disciple Amandeep Singh, Manpreet Singh, Karamjit Singh, Raghbir Singh performed various traditional Shabad keertan composition in different singing styles and various prescribed Ragas from the sacred repertoire Gurmat Sangeet. On this occasion Dr. Frencesca Cassio introduced that the chair of Sikh musicology is first in the western world of music and second int the world after Punjabi University. DR Cassio acclaimed the contribution of Dr. Gurnam Singh in this field as founder of Gurmat Sangeet in academics as founding professor Head of Gurmat sangeet at Punjabi university. 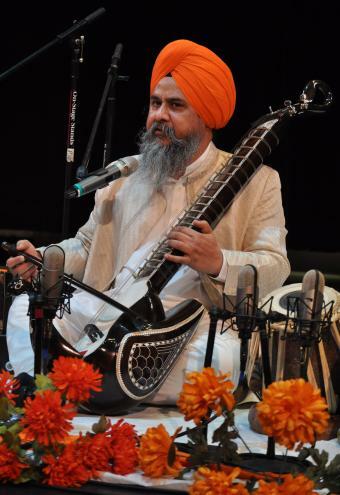 Dr Singh is the musician who has sung complete 31 ragas and 31 raga forms of Sri Guru Granth sahib for the first time . Dr Gurnam singh has many research publications,recordings, a long queue of disciples and vast experience of three dacade in this field. Dr singh is recipient of prestigious Awards, fellowships along with the Shiromani Award from Sikh supreme body SGPC. 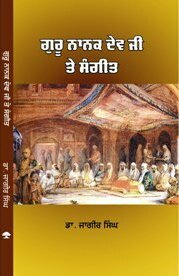 For the revival of Sikh string instruments with the collaboration of SGPC his contribution is historical. In this concert Dr Singh performed some rare raga melodies Tukhari, Kanrha, Basant Hindol, Asa and others including an exclusive classical singing style Parhtal and Sangeet chhappey chhand . The singing of poetic transliteration of Shabads also enthralled the western audience. This was second sikh music concert performed by Dr Singh at Hofstra after 2008. In these days Dr Gurnam Singh has been invited as visiting scholar by this university during this residency along with teaching, public lectures Dr. Singh will also conduct a western orchestra to highlight the heritage of Sikh music. Dr Hakam singh who has contributed the endowment for this chair along with Dr Francesca Cassio honored Dr Gurnam Singh and his music group. Dr Hakam Sigh stated that these kind of joint collaborative performances will be continue in future for the exposure of Sikh music to the west world. On this occasion students, faculty members, musiclovers, ethnomusicologist, sikh fraternity of US were present alongwith the official dignatries of the Hofstra university. INTERESTED IN LEARNING KIRTAN "ONLINE"?